The Rufous Motmot is is the second largest and arguably the most spectacular of the motmots. The large size, overall rich coloration and contrast between rufous head and underparts and intensely green-blue green back, wings and tail contribute to the striking appearance of this species. 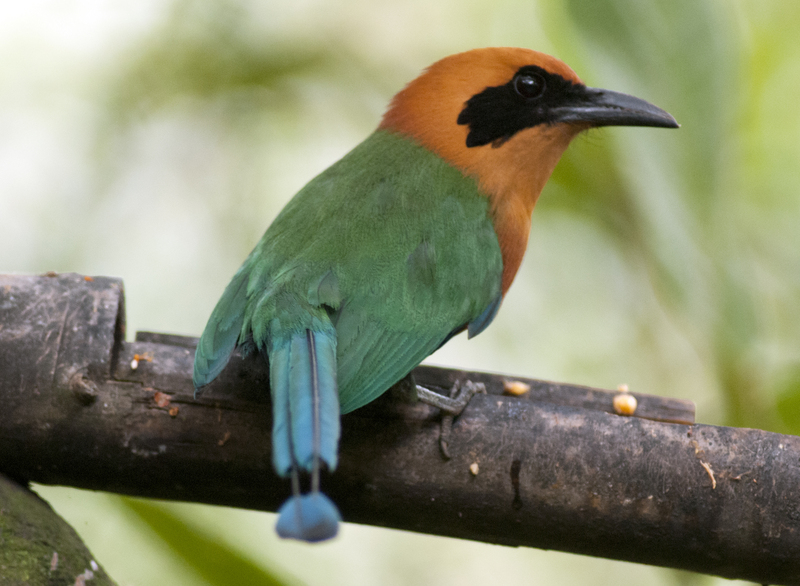 The Rufous Motmot prefers humid lowland and hill forest where it consumes a large variety of food items ranging from various fruits to invertebrates and even small vertebrates. The Mindo-Nambillo Forest Reserve is a private reserve most popular among eco-travellers because of its incredible diversity of wildlife and plants.